You know I love my white kitchen but sometimes white can use a shot of color. What better place to go colorful than on my kitchen window so I can be cheered up every time I scrub pots and pans. When I spotted these New Jersey state dish towels at a nearby shop, I scooped them up. Yes, I’m Jerseylicious and proud of it! Instead of wiping up margarita spills with these beauties, I turned them into a cute window treatment. 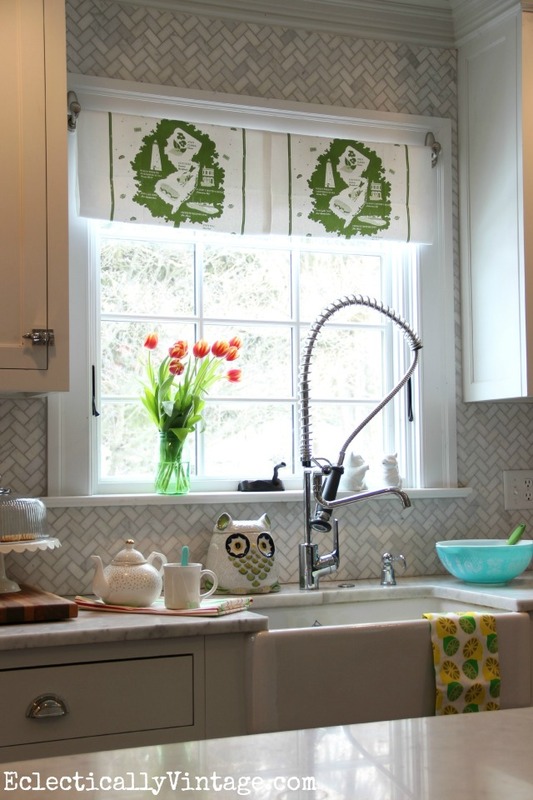 1) Choose a window that could use a cute valance – I chose my kitchen window. Use a measuring tape to measure the length of the window so you can determine what size dowel you’ll need. 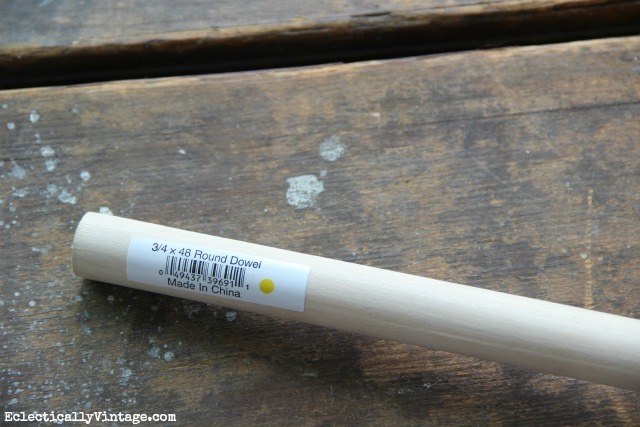 Note: I cut a standard 48″ dowel down to 45″ (I cut it right in the home improvement aisle)! 2) Spray paint the dowel white and let it dry. 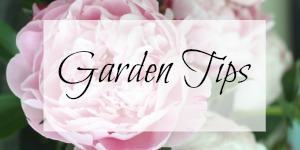 3) Gather your dish towels and decide how long you want your valance to be. 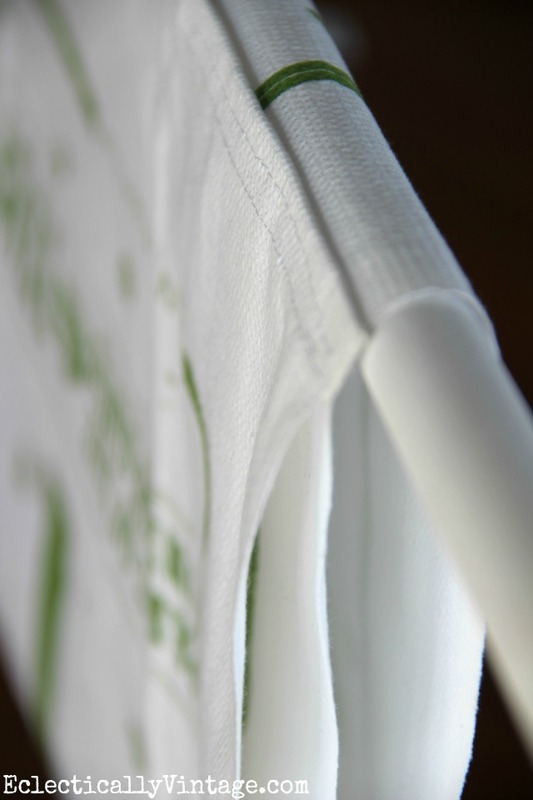 Create a loop at the top edge of the towel and use a sewing machine (or needle and thread) to stitch the top edge to the back of the towel with a basting stitch (best part, you can cut the stitch if you want to return your valance back into a dish towel). Then, slide the towels through the dowel rod. 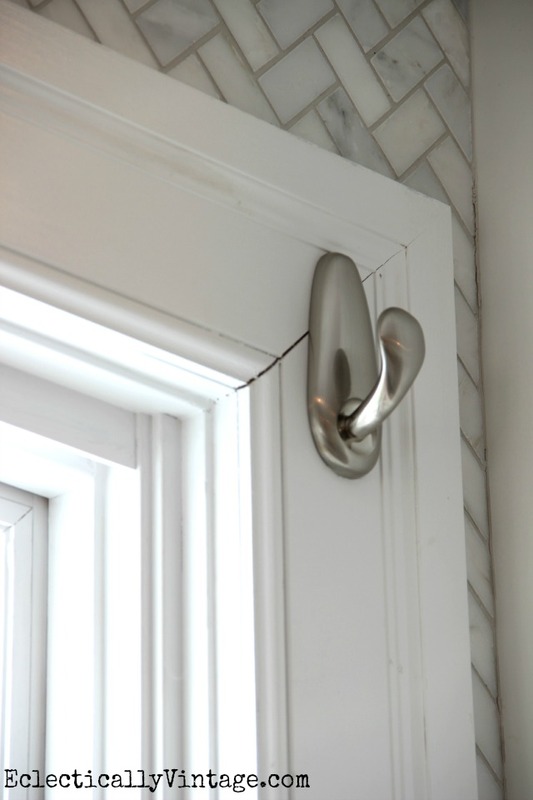 4) Following package instructions, adhere one Command™ Forever Classic Brushed Nickel Hook to the window trim in the corner of the window. Repeat on the other side of the window. 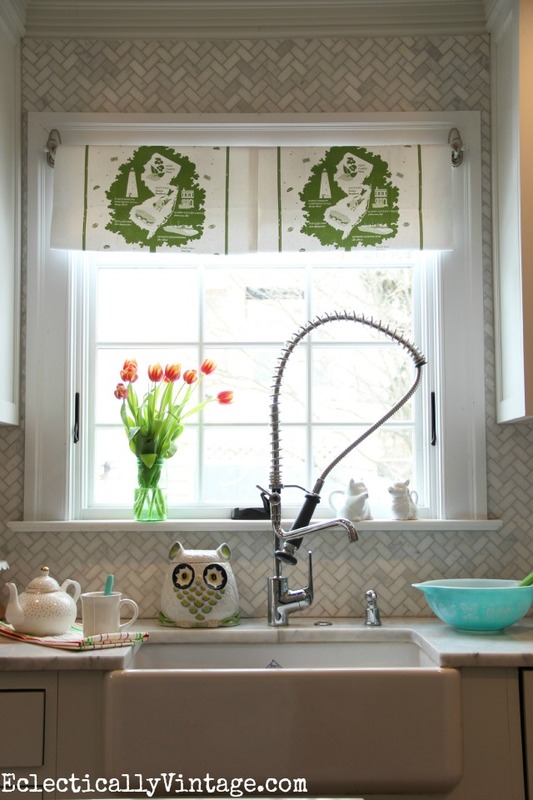 5) Hang your dowel rod from the hooks and enjoy your colorful, new spring window valance! 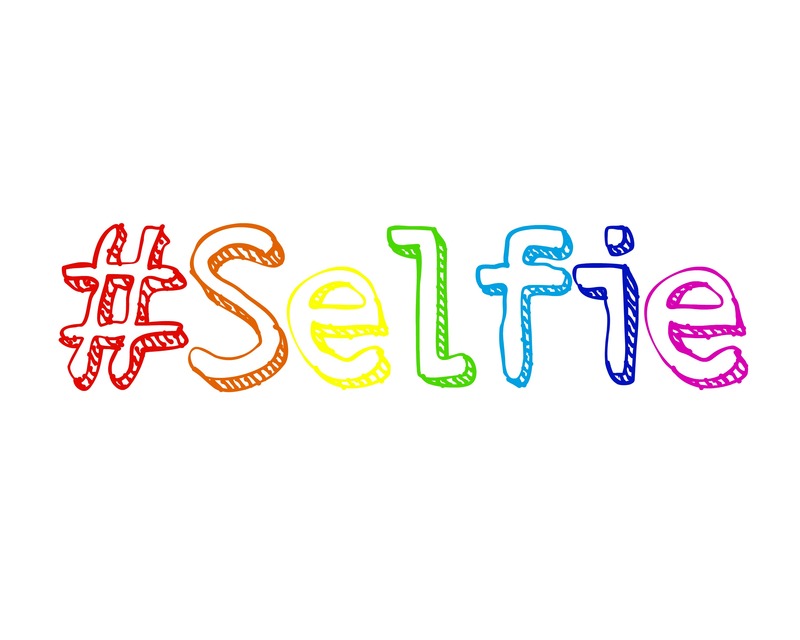 such a fun and unique idea, kelly! love the punch of green, too! Thanks Cassie – makes me almost forget the snow right outside the window! so cute! i’ve loved your kitchen from the minute i discovered your blog! may i ask where you purchased your towels? I got them at a local shop – they don’t sell online unfortunately. Thanks , and I enjoy your blog !! Think spring !! ( we are bone dry , in Seattle, and will be in deep trouble this summer, no snow in our mountains………… unheard of ) . Hi Lynn – I have a restaurant style faucet made for rinsing large pots. 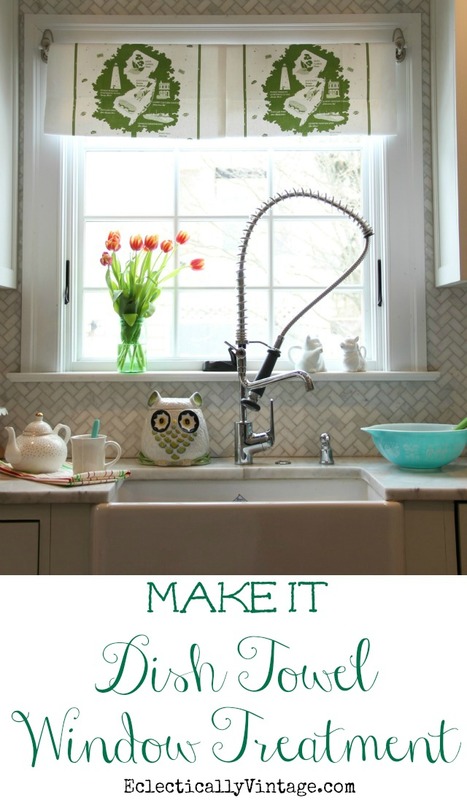 The spiral part pulls out and I can clean the sink with it – as well as move it onto the counter to fill vases, etc. 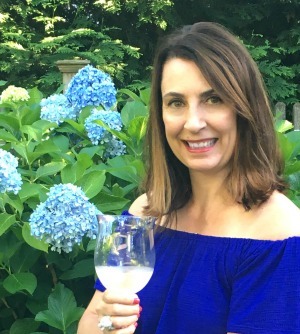 Thanks for visiting – and I am definitely thinking spring! 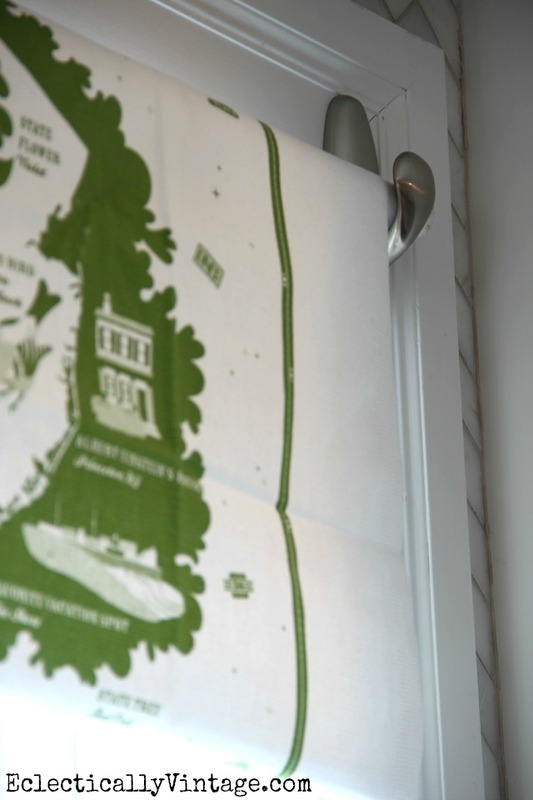 Great solution to the old window treatment dilemma – I don’t think you can ever go wrong with a couple of cup hooks, a dowel and a couple of whimsical tea towels in the kitchen. Who doesn’t need something to make them smile when they’re scrubbing the pasta pot? Now I’m craving a big plate of pasta! I like that better than nails or screws in my trim. Those towels do make it colorful in your white kitchen. Agree – no more nail holes! Those Command Hooks look like the perfect curtain rod holder !Love this idea and so easy too! I love the owl on your counter. Where did you find it?